Halloween is a fun time of year for children and adults alike. Unfortunately, it can also be a dangerous time. With a little planning and increased awareness, drivers, parents and trick-or-treaters can prevent Halloween tragedies and ensure an enjoyable evening for all. 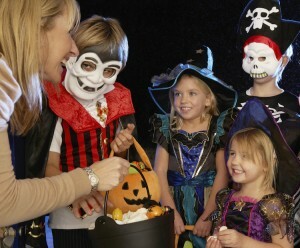 Be extra alert 5:30 – 9:30pm, the most popular trick-or-treating hours. Drive slower than normal in residential neighborhoods. Drive at least 5 mph below the posted speed limit to give yourself extra time to react if a child darts out in front of you. Watch for children walking, particularly on the street, curbs and medians. Enter and exit driveways carefully. Turn on your headlights to increase your visibility. Using your headlights, even during daylight hours, makes it easier for pedestrians and other drivers to see you. Set ground rules. Talk with your children about how long they can be out, where they can go and what will be done with the treats they receive. Accompany your children, especially if they’re under 12. Surprisingly, 12% of children five years of age or younger are allowed to trick-or-treat alone (Safe Kids). Make your kids visible. Decorate costumes and bag with reflective tape and stickers and, as much as possible, use light colored costumes. Have them carry light sticks or flashlights to help them see — and to help drivers see them. Make sure your kids can see easily. Masks can limit eyesight, so consider makeup and hats, instead. If your child is wearing a hat, make sure it fits well and doesn’t slip down over his eyes. Walk on sidewalks or paths. If there are no sidewalks, stay as far to the side of the street as possible and walk facing traffic. Cross safely. Cross streets only at corners — never mid-block or from between parked vehicles — and look both ways and listen for approaching vehicles before crossing. Put down the phone. Eliminate distractions while you’re out trick-or-treating with your kids. Make sure props, such as swords and canes, are not sharp. Tell your children to not eat treats until they get home. Stick to the familiar. Stop only at well-lit homes and never enter a stranger’s home or garage. Happy Halloween from all of us at Oil Can Henry’s! 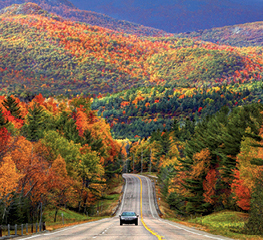 The days are getting shorter, temperatures are dipping and rain is in the forecast. There’s no denying it: Summer’s officially in the rear view mirror. The change of seasons is a good time to ensure trouble-free fall driving by changing your vehicle’s oil and taking care of other basic maintenance. 1) Check the fluids, including motor oil, coolant/antifreeze, transmission fluid, power steering fluid, and brake fluid. These fluids break down and wear out over time, so it’s a good idea to check them regularly and replace them before there’s a problem. Your vehicle’s owner’s manual includes recommended service intervals. Don’t forget the windshield washer fluid! 2) Check the tires and have them rotated if you haven’t done so recently. Front and rear tires wear differently; rotating them helps extend tire life and ensure safe driving. Most owner’s manuals include tire rotation recommendations. 3) Check windshield wiper blades and replace them if they’re ineffective. Wiper blades often harden and crack during the summer heat. If you’ve noticed that your wipers aren’t providing a clear view of the road ahead, take advantage of Oil Can Henry’s convenient Wiper Blade Replacement service. 4) Check lights and turn signals to ensure all are operating correctly. As the days get shorter, it’s increasingly important that other drivers can easily see you. So, replace bulbs that are burned out or not functioning. 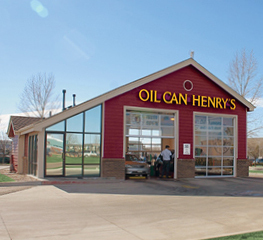 While this may seem lot of work, you can complete a lot of it with a quick visit to your local Oil Can Henry’s. Our trained technicians perform a thorough check of your vehicle as part of our Famous 18-Point Full-Service Oil Change. They check and fill coolant/antifreeze, transmission fluid, power steering fluid, battery, and windshield wiper fluid. They also check lights and turn signals. And they’ll inform you of the service recommendations provided by your vehicle’s manufacturer so you can make educated decisions about service for your vehicle. To lean more about the wide variety of preventive maintenance services we provide, visit our website. Watsonville, Calif., is a foodie heaven. From apples, strawberries and blackberrries to cauliflower, broccoli and artichokes, something tasty is bound to be in season. As an added bonus, local restaurants are always serving up delectable dishes. But food is just one reason this central California coast community is thriving. Residents also enjoy a pleasant climate and quick access to both scenic Monterey Bay and the rugged Santa Cruz mountains. While Watsonville is best known for agriculture, it’s also home to a variety of entertaining events, including the Monterey Birding Festival, the Wings Over Watsonville air show and the Watsonville Strawberry Festival. 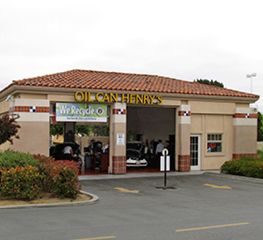 Oil Can Henry’s brought our trusted service to this wonderful community 15 years ago, when we opened our Watsonville service center next to Target in the Overlook Shopping Center on September 18, 2001. The Watsonville center is owned and operated by brothers Chris and Scott Allen, whose family has deep roots in town. The pair also operate busy centers in Soquel, Salinas and San Francisco, and are quick to praise the friendly and hard-working trained technicians who make their Watsonville center the destination for quick, convenient and thorough vehicle maintenance you can trust. Our Watsonville center is one of two centers celebrating a September anniversary. Congratulations also go to the team at West Linn – 8th Court, OR. They’re celebrating 18 years of service. A record 51.26 million vehicle recalls were issued in 2015, led by notices for defective Takata airbags. That number may continue to rise, as industry experts have forecast more frequent and larger auto recalls in the future due to increased scrutiny by federal regulators and an increase in the number of public complaints. While manufacturers are required to report claims to the government and notify vehicle owners of recalls, that doesn’t always happen as quickly or thoroughly as many would like. The record $105 million fine levied on Fiat Chrylser by the National Highway Traffic Safety Administration (NHTSA) is proof of that. This leaves vehicle owners asking the questions, How are recalls issued? and What’s the best way to learn if my vehicle has been affected? Recalls can start one of two ways: They can be initiated by a vehicle company as the result of high warranty claims, customer complaints and/or a flaw found by engineers; or they can be ordered by the NHTSA. Learn more about the recall process with this interactive graphic from Automotive News. 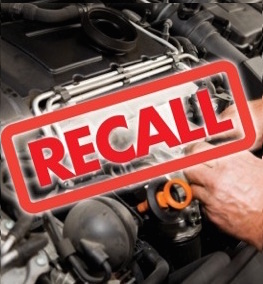 The Recalls Look-up by VIN tool enables you to determine if your vehicle has a safety recall issue in the last 15 years that has not been repaired. The Recalls & Defects page on the NHTSA website helps you stay on top of recall news by searching recalls issued since the previous day or the start of month. You can also sign-up to receive email alerts for up to five vehicles and learn how to download an app that will notify you if safety issues related to your vehicle(s) are discovered.